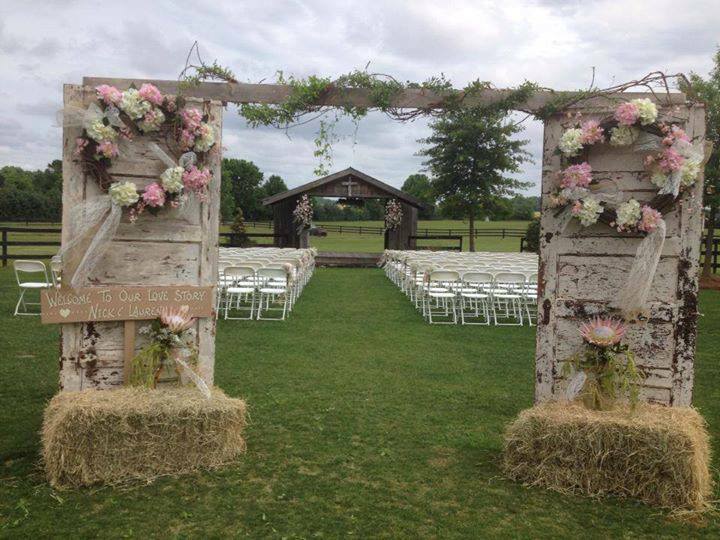 Welcome in the worn look with these incredible wedding photos shared by Martha Sheldon Florist from Eastman, Georgia. From inviting wreaths to large elegant sprays to unique containers, this FSN florist knew how to capture a day of perfect rustic beauty. This theme focused on designs that work in lovely counterpoint. Lace twisted around grapevine. Twigs mixed with white and pink flowers. Weathered wood adorned with pale delicate blooms. Independent elements with different textures and colors work together to give a comfortable sense of time and place. We find it completely breathe-taking for an event that centers around dreams of lasting love! Founded in 1930, Martha Sheldon Florist is Eastman’s oldest flower shop. Talk about standing the test of time! The shop name honors the original owner and has been offering floral expertise to multiple generations. Thanks for sharing your job well done! Visit Martha Shelton Florist on Facebook for more inspiring photos! Sweet Florals – FSN Member Lori Himes Featured in Florist Review! I love the table arrangements, so pretty!